Slice Ice! free download for Symbian s60 3rd and 5th edition. Start slicing ice now! But watch out, don't let the friendly penguins get separated! 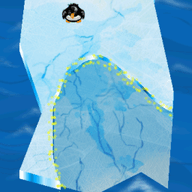 Use your finger to cut pieces of any shape away from the ice, but keep the penguins on the same side of the ice. Try not to cut too close of a penguin and avoid the rocks. Start to Slice Ice! 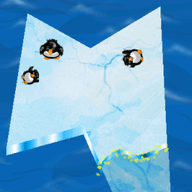 Penguins are already playing on the ice..
NEW (v1.01): Fixed level menu. Arcadeby: IllusionistsDescriptionIf you love the famous Battle City on NES, and you want to experience the same feeling on your mobile, this is the game for you. It's free of charge, no special permission require, and very much alike the old Battle City. If you want the Advanced Version, which contains " Construction mode " , you will have to wait, but not so long :). Arcadeby: Electronic ArtsDescriptionDownload and Try this game for Free! Arcadeby: Skiller GamesDescriptionPlay Wallball with your friends from anywhere around the world. 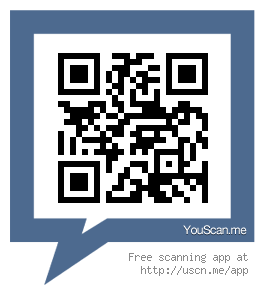 Build your own social network of game loving friends. After a simple registration, you can chat and play, send funny messages and show off your skills. Download once and get 11 more games, including: PerfectHit, 4 in a row, Reversi, Checkers, Backgammon, ShapeIt, Turfs, Tic Tac Toe, Pingi, Sudoku and Dropps.